Shows » What's Inside a Woodpecker's Nest Hole? Go outside this weekend and see a woodpecker hole for yourself! Many woodpeckers chisel out deep cavities in tree trunks in order to lay their eggs and raise their brood. 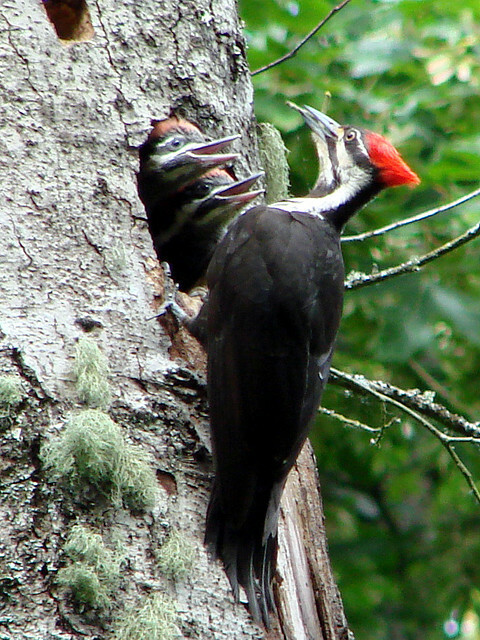 The cavities hollowed out by the birds vary in size, depending on the species of woodpecker. 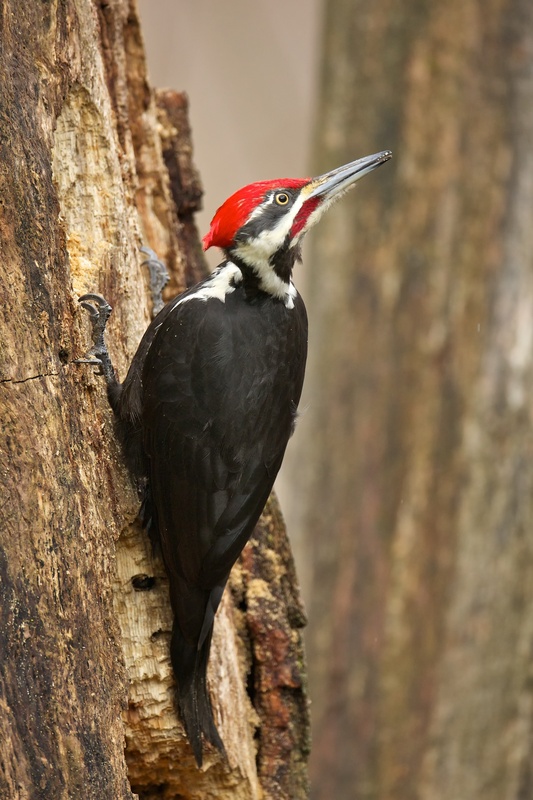 Most North American woodpeckers carve a new nest cavity each spring. Support for BirdNote comes from Audubon Park Wild Bird Food, owned by a bird-loving family for 60 years. Info, and why bird-feeding runs in familes, at audubonpark.com. A roughly circular hole, chiseled by a woodpecker into the face of a tree trunk, is not an unusual sight in nature. What is unusual is seeing what lies beyond the opening. The hole leads to the interior of the tree, a passageway to the nesting chamber carved below. Inside this private space, layered with wood chips, a pair of woodpeckers will lay eggs and raise a brood. The chamber must be carved deep enough to accommodate the growing family. 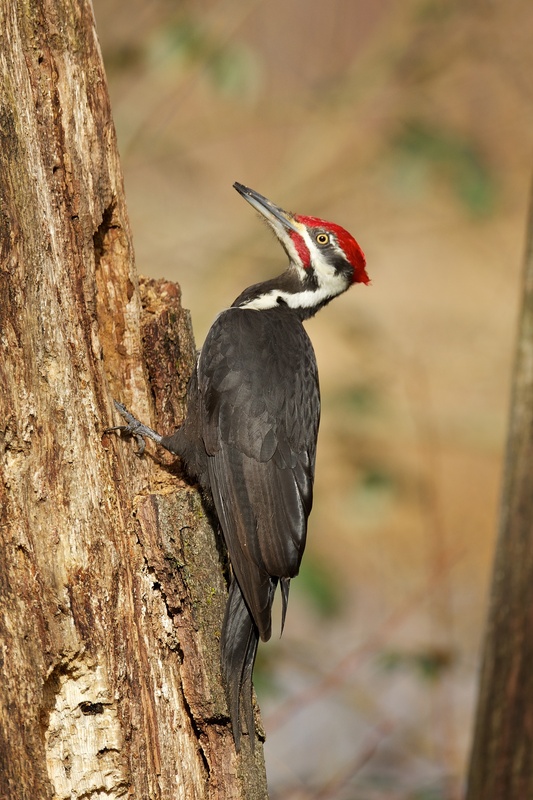 Just as woodpecker species vary greatly in size, so do cavities. The chamber of a tiny Downy Woodpecker descends about a foot from the opening. 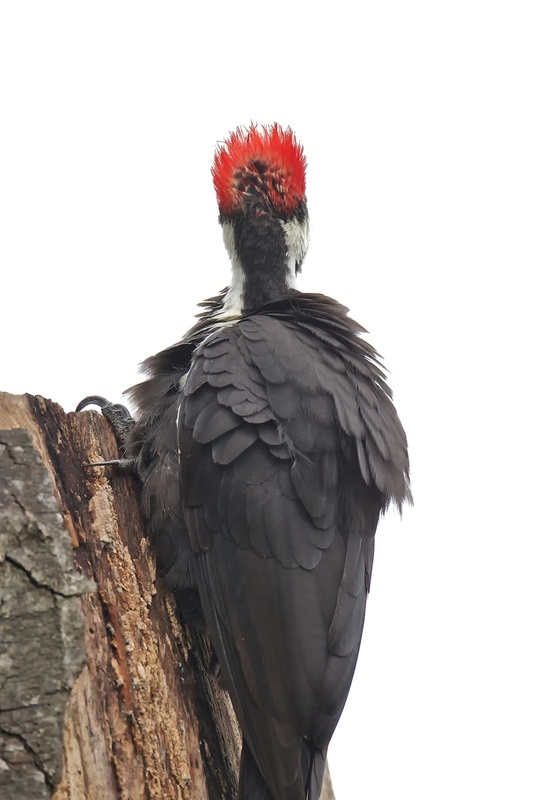 The crow-sized Pileated Woodpecker may chip out a chamber **two feet** deep. These birds usually breed only once each year and typically lay three to five eggs. Most North American woodpeckers create a new cavity each spring. 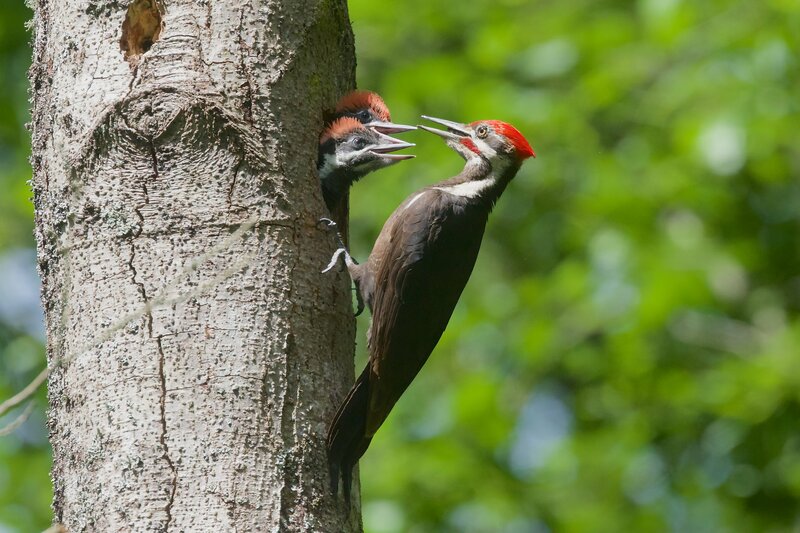 An aging trunk may reveal a long history of nest holes, deep lineages of woodpecker families. Go outside this weekend and see a woodpecker hole for yourself. Support for BirdNote comes from Audubon Park wild bird food. Owned by a bird-loving family for sixty years. Info on why bird feeding runs in families at audubonpark.com. Bird sounds provided by The Macaulay Library of Natural Sounds at the Cornell Lab of Ornithology, Ithaca, New York. Recorded by Wil Hershberger and Francisco Rivas Fuenzalida. What does a Downy Woodpecker’s nest cavity look like?